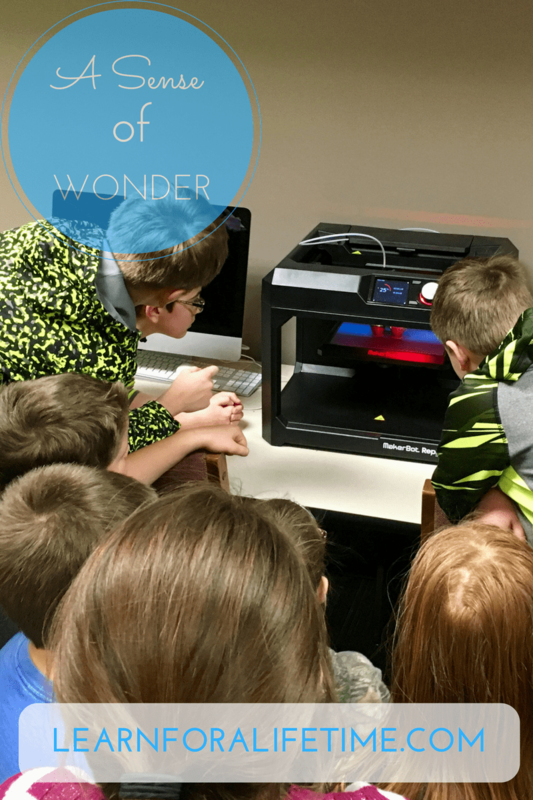 Our STEM classroom was recently blessed with the addition of a 3D Printer. Now, we had a few small printers last year, but they gave us some trouble and haven’t been used much. Our new printer is bigger, faster, and louder. Whenever the students come into the room and they hear it running, there is always a big crowd around the machine, watching it work, and attempting to guess what it’s making. Just mentally reminded myself my students will never live in a world where they can’t print on a 3D printer. Glad it still amazes them now! I remember a time when it blew my mind that the computer in our basement could talk to computers anywhere else in the world, even across the oceans! And later, when there were webcams broadcasting zoo animals and interesting wildlife only a few minutes after it actually happened. It’s a goal of mine that all of today’s students can keep that sense of wonder as our world grows and changes. It was this morning’s #showergem (something brilliant you think about while you’re in the shower). How can we keep the enthusiasm of something new like 3D printing, Augmented Reality, or Virtual Reality in things that have stood the test of time, like writing, reading, and speaking? Mathematics? History? Let us not forget, though, that there are schools and districts out there that are not as fortunate – they may not have access to things like the printers, or even computers. How can we make sure that they receive an equitable education? I know there are many questions that are posed here, but when a teacher really cares about giving the best education possible to their students, there will be solutions. It might look differently in each classroom, but our students/children are the ones to whom we will entrust this world. What an important task! I also am continually thankful for the many ways technology improves my life and career as an educator! I appreciate making video lessons so that my students can learn from anywhere.